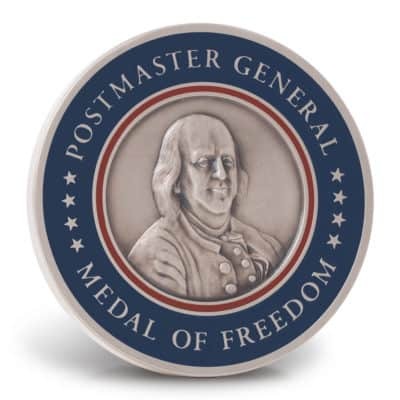 Postmaster General Medal of Freedom – C. Forbes, Inc. The origins of this medallion are a sad part of our nation’s history that occurred during the anthrax episodes in October of 2001. Thomas L. Morris, Jr. and Joseph P. Curseen, Jr. worked at the Brentwood Mail Facility in D.C. when the attack occurred. The Medals of Freedom created by our company were presented to their widows at a memorial service held in their honor by the Postal Service. As a tribute to the rich history of the United States Postal Service, Benjamin Franklin’s portrait is on the front side of the medallion. 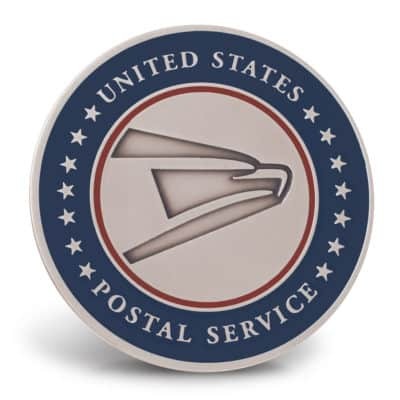 As the first U.S. Postmaster General, he is the face of the agency and its pride.